Is it a good idea for you to eat before bed? Depending on your unique metabolism, food sensitivities and physical activity level, eating before bed may be beneficial to you. Generally, the earlier in the evening you can eat your last meal or snack of the day, the better. But it depends on how much you exercise – and what you’re eating. Strictly speaking, calories-in and calories-out are still what matter most when it comes to body fat. Eat fewer calories than you burn each day and you will lose weight. 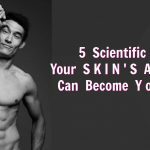 However, it is also true that the healthier and more energized your body is, the more all your body’s systems – including metabolism – operate efficiently. Furthermore, there is indication that inflammatory foods increase visceral fat padding surrounding the body’s vital organs inside the abdomen. So, though counting calories is still what matters most, it might not be the only thing that matters. 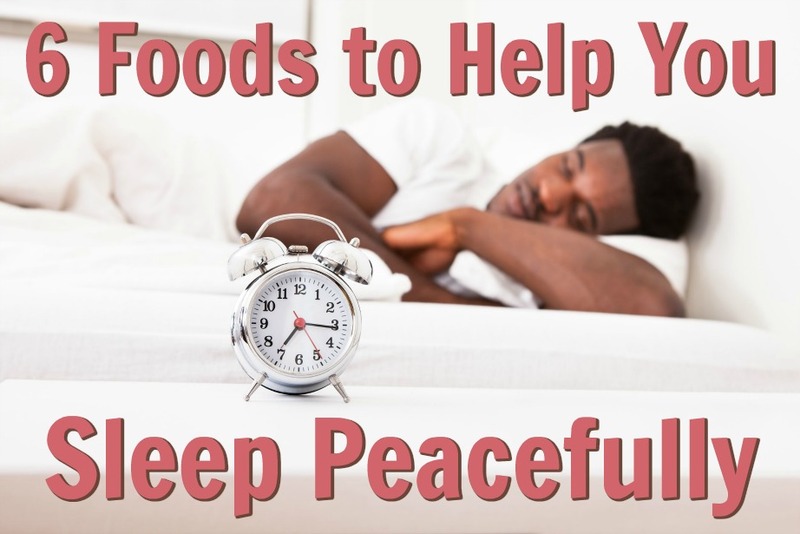 Eating the right foods before bed can help you awaken happily refreshed. The skin on your face is an excellent barometer of whether or not what you ate last night agreed with you. The less healthy a food is for your body, the more your face will show it. In particular, look at your eyes, and the tender tissue beneath. Is the area taut and bright, or puffy and darkish? Look at the whites of the eyes themselves – are they brightly white and crisp, or dull glassy and with some redness? These can be important clues. It seems to be inflammatory foods that wreak the most havoc on one’s face, so lean toward those anti-inflammatory foods that your body will respond to positively. The best food to eat before bed might be the food that doesn’t make your face puffy in the morning. For dinner, I recommend super salads. If you’re a vegan you can top your salad with raw sprouted seeds and tempeh for extra protein, or if you’re a Paleo athlete you can top it with some diced free-range chicken. For those over 30, it’s wise to gradually decrease the number of simple carbs you consume in the evening. As we age, our bodies become less adept at handling excess carbohydrates without negative consequences. Part of how I’ve been able to maintain my own fitness at age 51, is by gradually substituting healthy snacks for less healthy ones. If you happen to be an athlete, you will have more eating options. For example, if you did an intense strength-and-conditioning workout today – or are absolutely certain that you’re going to do one tomorrow – then you have more freedom for what you can eat after dark. Having the right foods before bed helps your energy levels the next day. In a perfect world, you eat your dinner as early in the evening as possible, and you don’t snack after dinner. However, who among us lives in a perfect world? Sometimes, having something a bit sweet after dinner helps us to relax and feel sleepy so that we can have a good rest overnight and then awaken with a high energy level the next morning. It depends, in part, on how many calories you are allowed each day. Also, people who workout consistently and intensely have to time their eating carefully because if they eat too early, they will suddenly become hungry just as they’re trying to fall asleep. Sounds like a little thing, but it can feel torturous. 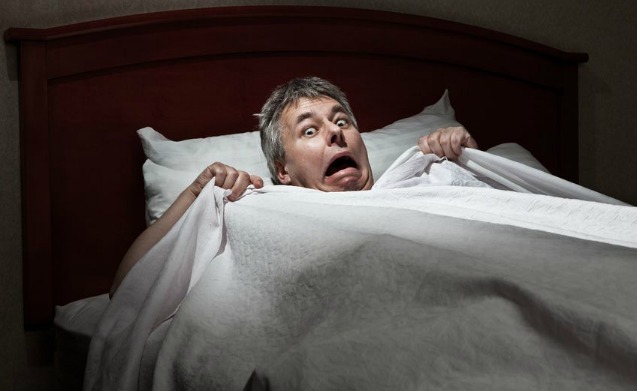 Worse, athletes can also sometimes wake up in the middle of the night feeling ravenous – however, unless you exercise intensely every single day, this probably won’t apply to you. On days when I eat dinner early but go to bed late and I worked out hard that day, I’ll cube half of a small apple and stir the cubes into a heaping tablespoon of sprouted almond butter, then top it all of with sprinkled cinnamon. It is currently my favorite post-dinner snack. And I feel great the next day. Remember, much of the time when we wake up in the morning feeling “blah,” what’s really going on is we have a food hangover. There has been a growing body of evidence that calorie restriction is one of the keys to a long lifespan. The general theory is that overnight your body likes to concentrate on healing and cell restoration. However, we divert the body’s overnight focus from healing and toward digestion instead, when we too much too closely before bed (and, especially, if we eat the wrong foods before bed). “Calorie Restriction” doesn’t mean what it sounds like. For example, if the average American eats over 3,000 calories a day, then 2,000 calories a day is comparatively restrictive but still enough to be comfortable. how many calories do you think you should be having on days when you exercise? what about on days you don’t exercise? Your metabolism slows down at night. Your body needs more quick-yet-sustained energy in the morning and afternoon; it doesn’t require as many calories at night if all you’re doing in bed is watching television, working on your laptop, or sleeping. In my personal opinion, I think digestion just works better when we’re upright rather than prone, so to eat a lot right before reclining for the evening is counterintuitive. I find that what I ate the night before has a direct impact on how fat my belly looks the following morning. Some foods are bad to eat before bed. There is much debate currently among experts as to what constitutes good food and bad food. In the end, I invite you to listen carefully to how your own body feels after you eat something and – as always – I encourage you to consult with your doctor and nutritionist before making any radical changes to your diet. 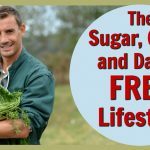 What I’ve found to be true over the years, is that if you want to look and feel better (than you ever have before in your life), you’re going to need to find clever ways to sneak more vegetables into your daily diet. Again, the big idea here is that deep sleep is the foundation of excellent health. The body heals itself during sleep, so if you apply a bit of your focus toward improving the overall quality of your sleep you will likely reap immediate rewards for your efforts. A friend recently told me that he tried getting only 5 to 6 hours of sleep a night and within a month he started having seizures. He was surprised when his doctor told him that returning to his previous habit of 8 hours of sleep per night would likely solve the problem – and it did. In our 24/7 world, it’s tempting to be cavalier about sleep, though underestimating the importance of quality sleep is risky to long-term health. If you are over the age of 40, your melatonin (a hormone that provides many benefits, including improved sleep) levels are probably not what they once were, and you might consider supplementation, but proceed cautiously. A high dosage of melatonin is not necessarily a better dosage. I encourage you to consult your medical doctor or naturopath to find what dosage is right for you. In the video below, Dr. Myles Spar revealed – during our recent interview – new tips on how to get a fantastic night’s sleep. 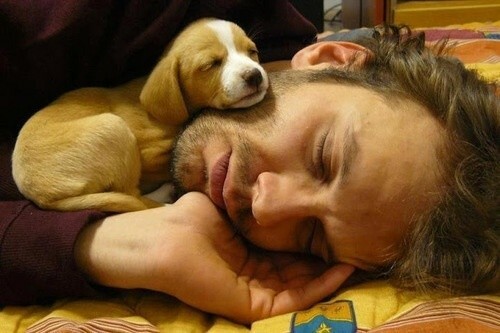 If you want to improve your health, improve your sleep. Getting enough quality sleep, consistently, is absolutely essential to your well-being. Determine what the air quality is like in your bedroom – houseplants can be effective at removing airborne toxins. But perhaps more important than any of the above, what helps you to sleep best at night is actually determined by what food you eat during the last 6 hours before bed. Imagine being fast asleep before 10 pm each night, and waking early each morning bright-eyed, feeling rested, and ready to jump out of bed and face life with enthusiasm. also off the list is any food that causes you internal inflammation. To figure out what specific foods inflame you, just look at your face when you wake up in the morning, especially around the eyes. Morning puffiness in the face is often a giveaway that your body wasn’t fond of something you ate the night before. and, of course, how your body feels, in general, is a clue. Any “food hangover” symptoms of sluggishness and you may want to re-think one of your after-dark food staples. By experimenting with what you eat before bedtime, you’ll find that you can get better at waking up feeling – and looking – terrific. Then, parlay that terrific morning into a terrific afternoon, by preparing yourself an energy-sustaining, freshly made green smoothie for breakfast and/or lunch. What foods a human body enjoys for better sleep will vary from person to person, as we each have a unique body chemistry. It’s safe to say that any food that assists in your body’s own production of melatonin – the sleep hormone – is probably a good food to have the last 6 hours of the day. If you’re trying to lose body fat, you may want to skip the post-dinner snacking altogether. However, I actually find that a snack after dinner helps me sleep better. There are good snacks and there are bad snacks. Bananas are a fairly good source of vitamin B6, which your body uses to make melatonin. I make my own rice milk (instead of having dairy milk) from organic jasmine rice. It’s really easy to make and tastes rich and delicious. Whey protein has calcium which is a natural sleep-booster, without any of the pesky lactose that many bodies don’t enjoy. Also, whey protein has the amino acids necessary for your body to create its own melatonin, serotonin and growth hormone. Especially good for days you exercise. Whey, can be inflammatory in some people, however, so don’t overdo the amount. Nutmeg is a spice used for centuries for its calming and sleep-inducing properties. Almonds are a natural source of magnesium which promotes both sleep and muscle relaxation in the human body. 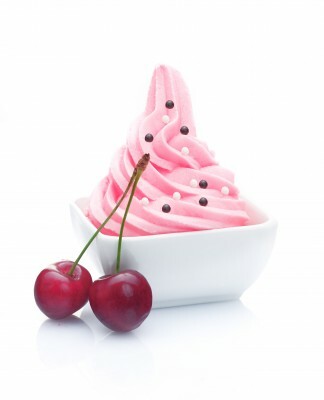 This cherry-banana frozen dessert can help you to sleep. You can combine all of the ingredients previously discussed – simply toss into a quality, high-powered blender to create a scrumptious and healthy frozen dessert that will help you to get a better night’s sleep. How cool is that? Easy to make: just blend (start out on low speed and build gradually) until it has the creamy texture of frozen yogurt. Serve in a bowl, top with another dash of nutmeg. Enjoy! If ever you’re feeling overwhelmed with this whole “getting healthier thing,” and you just want to know where to start, one of the best places to begin channeling your focus is: your typical night’s sleep. When two groups of people eat the same number of calories, the group who eats more protein as part of that caloric intake loses more fat and stays leaner. People who eat earlier in the day tend to be leaner and lose fat more successfully than breakfast skippers. Those who consume certain nutrients before, during, and after training get better results from their workouts, even if daily calories are the same. Early Risers VS Night Owls: morning types – those people who wake up early and go to bed early – make better food choices than evening types – the folks who stay up late. “Chris Shugart on why body fat percentage is about more than just counting calories” https://www.t-nation.com/diet-fat-loss/tip-who-gets-fatter-night-owls-or-early-birds?